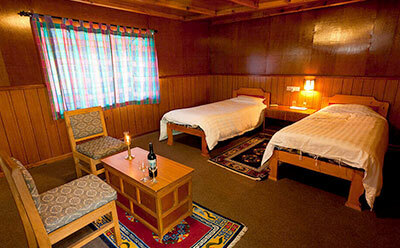 Enjoy your stay in our comfortable luxury lodges throughout the trek (optional). Experience the Sherpa cultures and the Sherpa land with this. After breakfast, we trek to the village of Monjo. The gently undulating trail follows the right bank of the Dudh Koshi through Phakding village before the first of several river crossings today on wire suspension bridges. Continuing through pine forest and small villages we come to a break in the trees to catch sight of the mighty Thamserku (6623m) towering way above. A couple more hours of woodland trails and swaying bridges brings us to the small village of Monjo. into a high mountain bowl and the vibrant village of Namche. We pass through the many tiny shops and colourful stalls picking our way slowly up hand cut stone steps to our wonderful Yeti Mountain Home Lodge. This is our first night above 3000m so it’s important to take it easy and let your body adjust. Relax with a tea or coffee and maybe even take a massage in our spa. 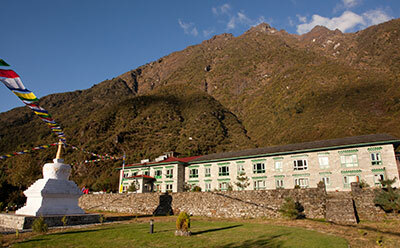 Situated at high altitude, Namche Bazaar serves as an acclimatization stop for climbers to avoid altitude sickness. Namche Bazaar is the main center of the Khumbu region and is facilitates with government offices, internet, ATM’s, restaurants and a colourful market. 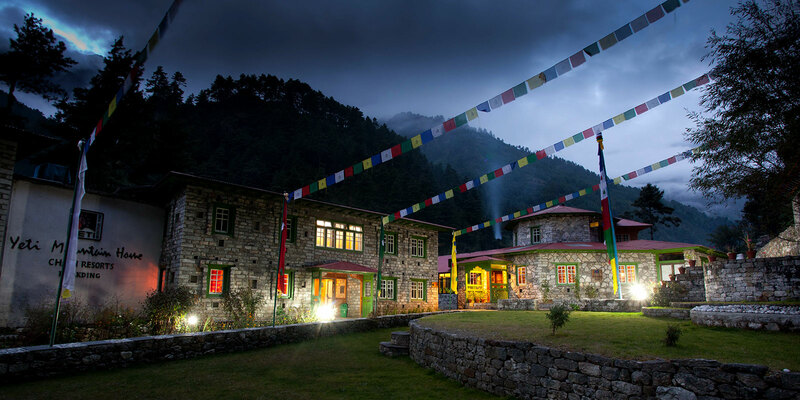 You can also take a half day excursion to the internationally known Museum of Sherpa Culture and the traditional villages of Khunde and Khumjung. 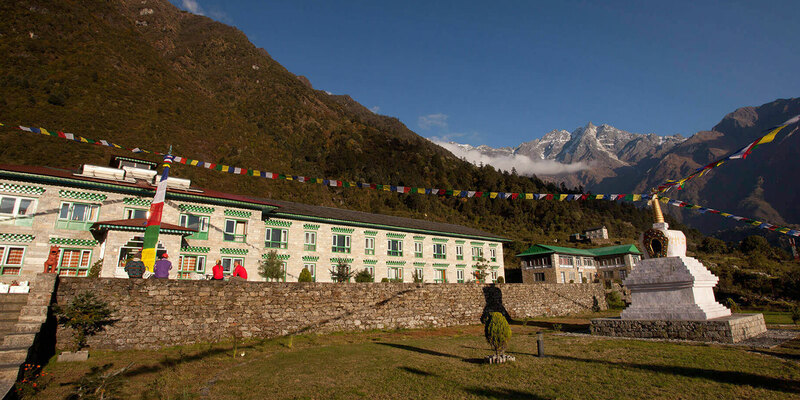 The location of our lodge is superb giving us a bird’s eye view over Namche and across the Valley to the serrated ridges of the Kongde range, while the magnificent peak of Thamserku (6623m) rises as a backdrop. Just a short walk away is a classic view of Ama Dablam, one of the most beautiful mountains in all Nepal and of Lhotse and Everest. This is an ideal place to spend the day, acclimatising to the new altitude before heading further up-valley to Thame. After breakfast at our lodge, we start the day with a 2 to 3-hour walk through the forest of spruce, juniper and pine to the village of Thame. This trail is much less used by trekkers and we will immediately notice the difference. It is, however, an important trail which leads all the way to Tibet via the Nangpa La on the shoulder of Cho Oyu (8012m). On today’s trek, we are likely to see few other trekkers. We stop for our lunch in Thame which is the home village of the Ang Rita Sherpa, who has summited Everest 10 times without oxygen. After lunch, we continue walking for another 2 hours to arrive at a deep gorge where the Bhote Koshi River thunders through the narrow defile. We cross a sturdy bridge spanning the gorge to reach Thame (3800m). This important village is the home of many famous mountaineers including Tensing Norgay the first man to reach the summit of Everest along with Sir Edmund Hillary. Apa Sherpa who has reached the summit at least 18 times lives here now. The village is very picturesque and also has a magnificent 16th-century Nyingmapa Gompa (monastery) built by Lama Rolwa Dorje. We check into our deluxe rooms with breathtaking views of Thamserku and Kusum Kanguru. A strenuous walk to Lungden for about 4 hours will go through the stunning landscapes through the route that was used to trade for Tibetan taking us to the valley of. As you head into the wild country with few villages, you will meet few trekkers going along this way. Trekking towards Pangka, you will take the trail that drop slightly to a large cave area known as Nilibuk. Climbing a steep rocky incline into the valley by side of the glacier and passing the holy lakes. Arriving second lake you cross the path leading to the glacier to Cho La that leads towards Lobuche. Dudh Pokhari is the 3rd lake you see as you head towards Gokyo walking by the side of the lake enjoying the panorama of Cho Oyu and Gyachung Kang. After breakfast you continue your trek from Gokyo Lake with the ascending trail through up and down of the glacier reaching Dragnag also popularly known as the base camp of Cho La Pass where you will spend an overnight. 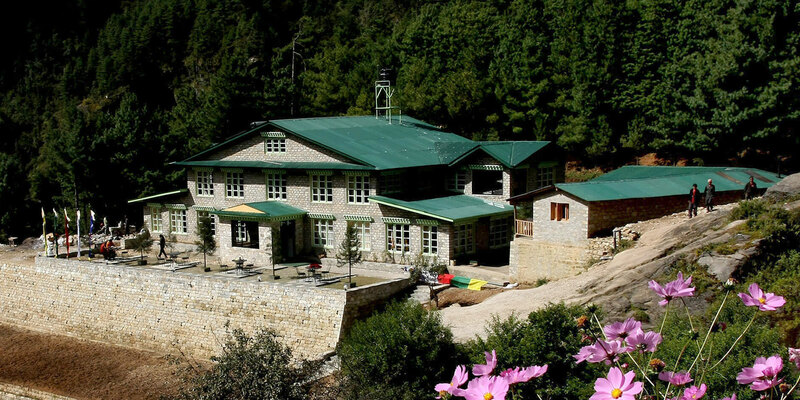 With limited lodges and basic facilities, however the trip to Dragnag is a memorable one with its amazing view of the mountains. A strenuous day today you will trek through vertical trails and the rocks glazed by ice. You have to be very careful today as the trail may be slippery. The rocky trails climbs through the narrow valley as you climb up towards Phedi. Trekking through the side of the frozen lake going to the top of Cho La pass that lies at the elevation of 5468m is a place with decorated prayer flags. After enjoying the views from here, you take the trail that descends steeply towards Dzongla (4830m) where you can see some basic tea house lodges scattered. As you trek up to Gorak Shepe leaving Dzongla. You walk further towards Lobuche through the trail that descends and ascends gradually until you reach Lobuche providing great views of Ama Dablam, Nuptse, Everest, Pumori and Lobuche peak. You head out on narrow tracks that are at times a few feet wide and few hundred meters above the ground. You also walk through the wide valleys as well. 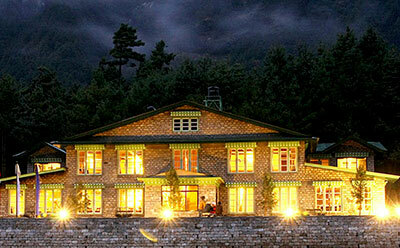 You arrive at Gorakshepe with few lodges available. 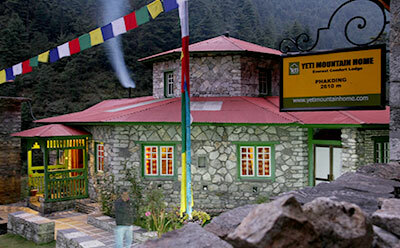 You check in and rest for your walk to Everest Base Camp tomorrow. An exciting day today as you visit the Everest Base Camp. As you walk across the rocks towards the many prayer flags that mark the spot, you will arrive at Everest Base Camp. 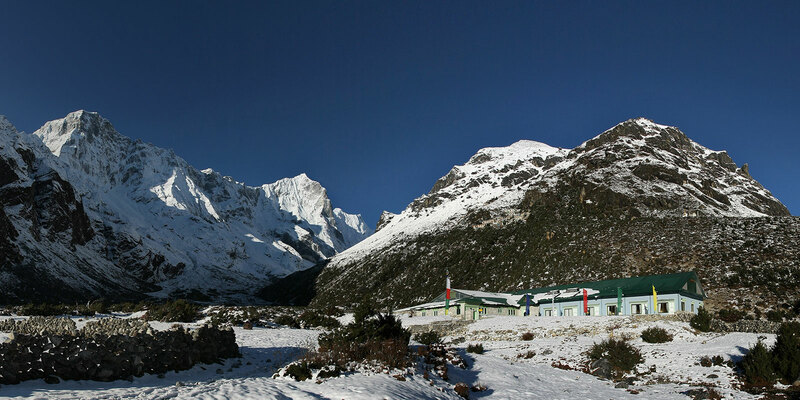 During the expedition season, many of the groups are settled here in their respective camps awaiting their climb to the highest mountain in the world. You can even interact with some of them. After taking photographs and enjoying the moment, we head back towards Gorakshepe. Hike upto Kalapatthar and trek back to Lobuche. An early morning hike to Kala Patthar to view the sunrise along with Everest. We retrace our steps back to our lodge where we have our breakfast and continue our trek back to Lobuche. Many of the trekkers do not take this route to arrive in Chukkung giving it a super off trail experience mainly due to the strenuous nature. The trail goes uphill towards the southeast direction Khumbu glacier with a great view of Lobuche and Pumori along with the other surrounding mountains. Kala Patthar looks stunningly beautiful. 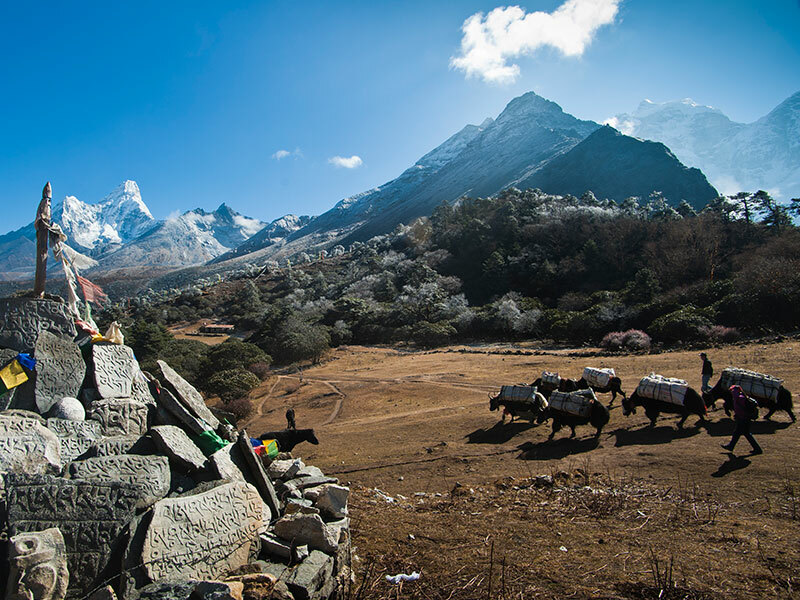 As you continue the sloping trail you can enjoy more and more panoramic views of Lobuche village along with other peaks. The trail goes down the valley, continuously passing picturesque mani walls and chortens. After a short descent, it meets the main trail, descends gradually then steeply to Phunki on the banks of the Dudh Koshi. From there it climbs steeply at first, then makes a gradual ascent through forests and around Mani stones as it follows the side of a hill up to the saddle on which Tengboche Monastery sits. The trek today takes you back to the same trail giving you great views of Everest, Nuptse, Lhotse and Ama Dablam as you descent down the Dudh Koshi River. After crossing the river, you take an uphill again till the balcony path taking you around to Namche. A long descent and you arrive at Monjo where you spend an overnight. Your last day of the trek today on the trek will take you through the pine and rhododendron forests with few hours of a steady climb to Lukla. After breakfast, you tour guide for today will meet you at the lobby for a full day sightseeing in Kathmandu – a culturally rich city with many touristic sites listed as heritage sites. You will be visiting Boudhanath, Swayambhunath, and Bhaktapur all of which are important heritage sites in Kathmandu. These heritage sites were affected by the earthquake. Boudhanath Stupa, one of the biggest stupa in Nepal is fully restored and Swoyambhunath and Bhaktapur are undergoing the restoration process. Your experienced tour guide will share interesting facts and stories about these heritage sites. 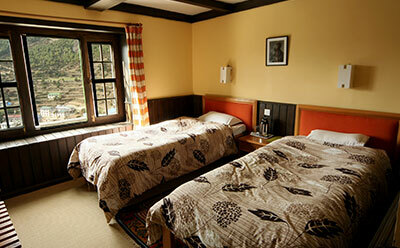 After the sightseeing, you will be transferred back to the hotel. Depending on your flight time, you will be transferred from Hotel to the airport. The airport time is 3 hours prior to departure time and the hotel checkout time is 12:00 PM. In case you are flying late evening and require a half day use of the hotel, you can let us know in order to confirm the room for you. 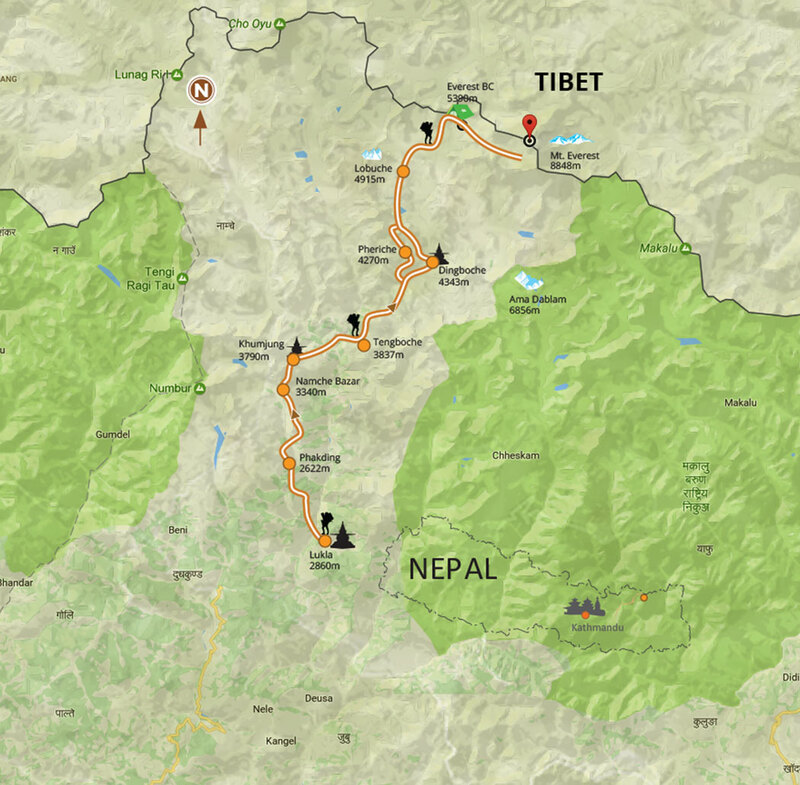 Day 12 : Hike upto Kalapatthar and trek back to Lobuche.